Great British Bake Off (#GBBO) is BACK! In our house, GBBO is the only ‘reality’ TV programme we watch, and we LOVE it! Plus, with 3 lovely contestants from Yorkshire this year it would be rude not to support them. However, watching GBBO always makes us super hungry and craving for a sweet treat, which when you’re trying to eat healthier and work towards a fitness or weight loss goal isn’t ideal. So, each week, we’re going to give you a healthier alternative to make instead! Every recipe will contain NO artificial sugar or preservatives, but instead natural alternatives, such as, honey or maple syrup. Both of these alternatives are much better for you then artificial sugar, however, they are still a type of sugar and therefore, don’t go eating the full batch in one go! 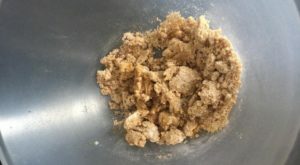 This weeks post is a little late, however, from Week 2 of the GBBO, every Wednesday a new recipe will go up matching that weeks theme. Week 1 is Biscuit Week, and with so many to choose from, we’ve opted for a simple Mini Digestive Biscuit that you can put your own stamp on. 1. 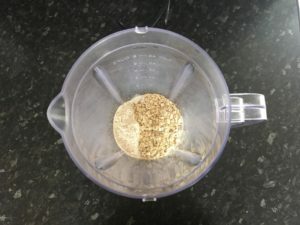 Put the flour, oats, baking powder, (spices) and a pinch of salt in a food processor and blitz them until it creates a fine powder. 2. 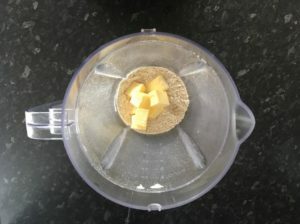 Add the butter and pulse until the mixture resembles fine breadcrumbs (it may clump a little but do not worry) then tip it all into a bowl. 3. Add the maple syrup and gently mix it into the mixture until you have a dough. Wrap the dough in cling film and chill in the fridge for at least an hour. 4. Preheat the oven to 190°C/170°C Fan/Gas mark. Line 2 baking trays with greaseproof paper. Generously flour your work surface. 5. 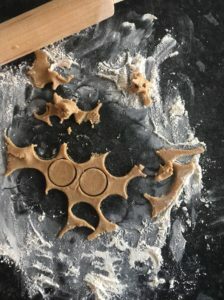 Roll out the dough, then using a small cookie cutter, cut out circles. Re-roll the offcuts, making sure you use plenty of flour to prevent sticking. You should end up with around 50 biscuits. 6. 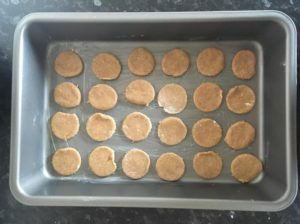 Place the biscuits on the baking trays. 7. Bake the biscuits for 8-12 minutes depending on their size, until they’re golden brown and crisp. Keep a very close eye on them, as a minute too long could mean they overcook. 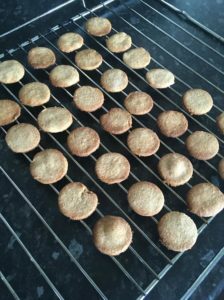 Remove the biscuits from the oven and immediately transfer them to a wire rack to cool. 8.Wait for them to cool, then enjoy! Our Award From Theo Phapitis!! Resistance Training – what’s it all about? Is it for me?